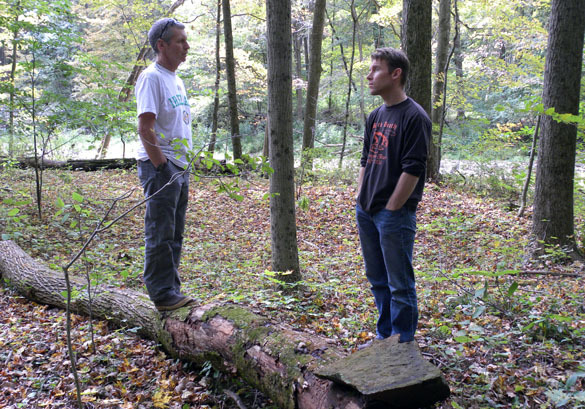 Geologist Greg Wiles and Biologist Rick Lehtinen in Spangler Park outside Wooster, Ohio. WOOSTER, OHIO–Our colleague Rick Lehtinen in the Department of Biology had a great idea: how about a casual noon trip to the local Spangler Park to enjoy the plants, animals, rocks and streams? So Greg Wiles and I took him up on it and had a splendid couple of hours down in the gorge. We talked of ash trees, buried valleys, alluvial fans, salamanders and badgers. What an excellent break from grading! 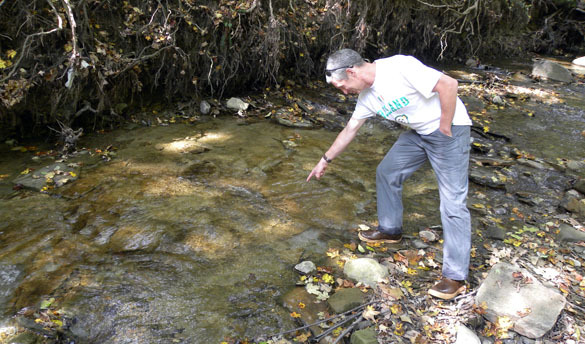 Dr. Wiles showing where the creek flow goes from supercritical to subcritical. 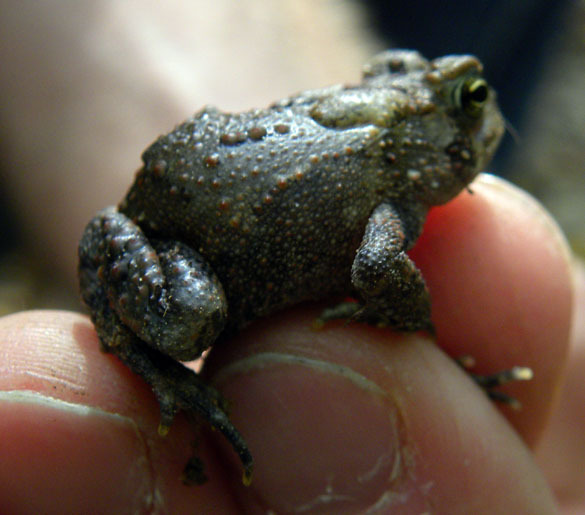 An American Toad found by Dr. Lehtinen. My contribution? 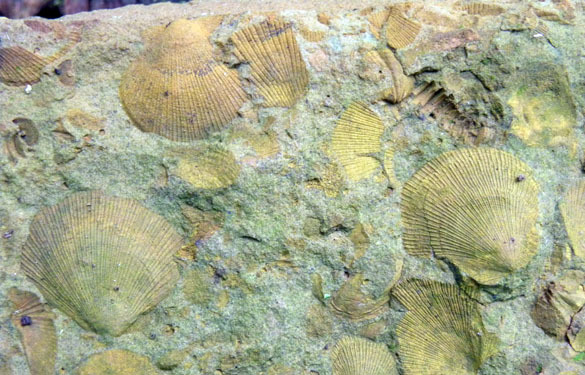 An analysis of this beautiful set of bivalve, crinoid and brachiopod fossils from the Logan Formation (Mississippian).